These pictures, of Manus "Mickey" Morgan are fairly precious, if you have any interest in the history of the wingsuit. Sadly, they just wouldn't fit in the book, so I offer them to you here. The first two come from the now defunct "PIC" magazine, the last from an unknown source. 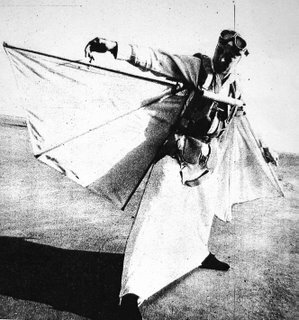 Morgan was one of the first few bat-wing jumpers and for a while he held the wingsuit altitude record with a jump he made at 17,500 feet—in 1937. The hydrophobic birdman's chief innovation was to include an inflatable bladder with his gear, so he could better survive a water landing. 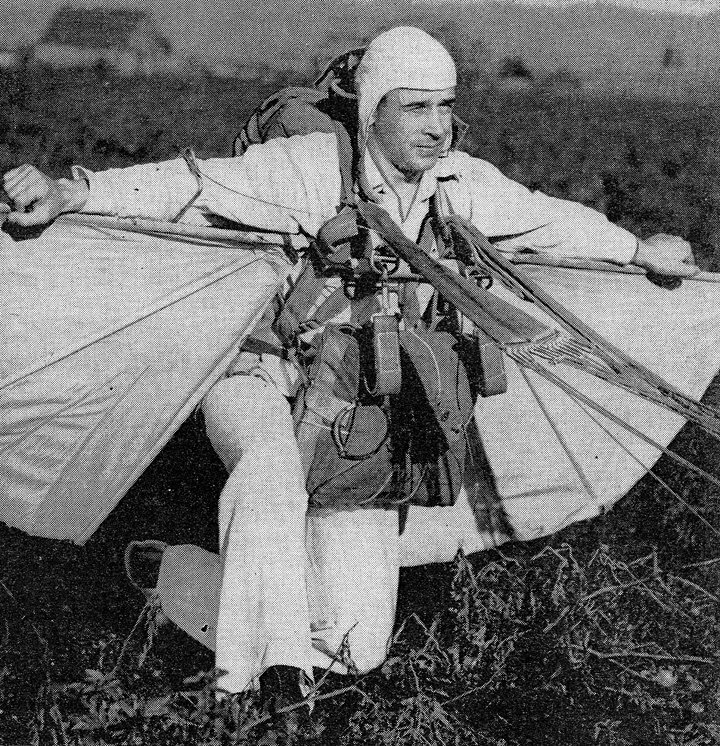 Today's skyflyers must be stronger swimmers as they have yet to include this development. I hope I won't disillusion you by noting that the second shot was surely taken with the plane firmly on terra firma. I bring this up because I have witnessed with my very own eyes the very same photographic technique being used today. The average news photographer is not a skydiver himself and prefers reclining at plane-side to falling backward through space with only an instant to get the shot. On another note, I'll be reading from Birdmen, Batmen, and Skyflyers tomorrow (June 20th) at the Community Bookstore in Park Slope, Brooklyn. I can guarantee some wild tales of men with wings. Thank you for interesting reading from Estonian birdman. Thanks for the kind words! Would love to read your blog but even Google can't translate it. Someday when you're bored maybe you could provide us with an excerpt or two? Your book is great. I have read it twice already and lent it to a friend. Thanks for explainingthe history of WS. Interesting article you got here. I'd like to read a bit more about this theme. Thanks for posting that information. 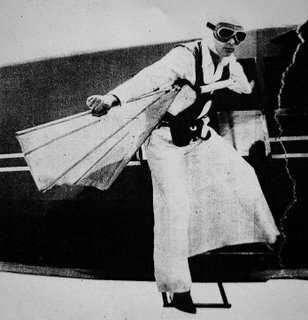 I have a signed picture of Mickey Morgan in his flying suit standing on an airplane wing. I can email you a picture if you would like to see it. A really neat photo. 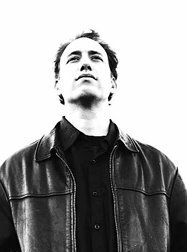 Michael Abrams is the author of Birdmen, Batmen and Skyflyers and has written for Discover, Forbes FYI, Popular Mechanics, Wired, and Mechanical Engineering, where he is a contribuiting editor. Feel free to contact him with news, comments, or anything else, at michael_abrams@hotmail.com.